8:00 a.m. – 6:45 p.m.
8:30 a.m. – 1:15 p.m. Direct access from Atwater metro. 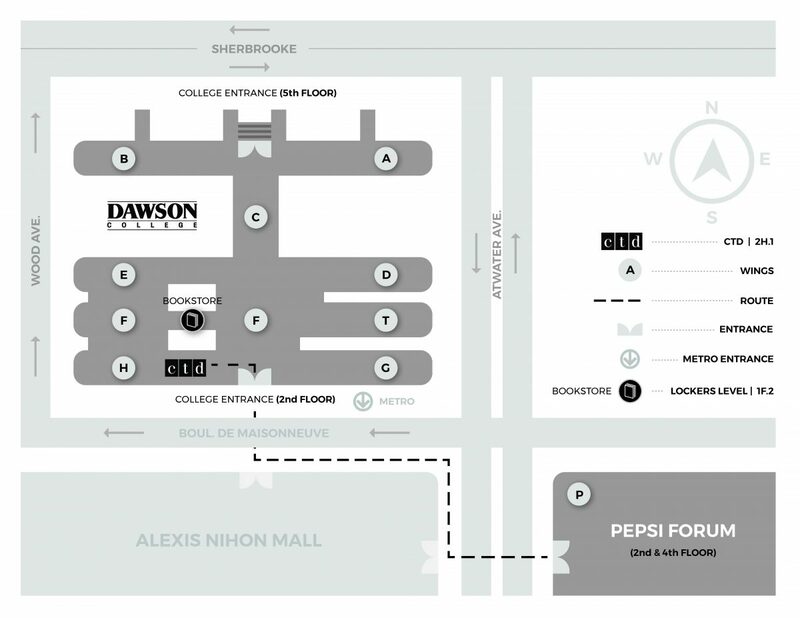 Dawson College is located on Line 1 (the Green Line) of the Metro. There is direct indoor access to the college from the Atwater metro station. The college is served by the 24, 90, 104, 138 and 144 bus routes. Metered parking is also available on some surrounding streets.